WOMEX is delighted to announce the start of our call for Showcase, Conference and Film proposals for WOMEX 14, taking place in Santiago de Compostela, Galicia, Spain from Wednesday, 22 October until Sunday, 26 October. WOMEX is now accepting proposals for the WOMEX 14 Showcase Festival and welcomes submissions from everyone, from new faces on the scene toseasoned professionals. The selected acts will perform for an audienceof key players from the global music industry, including concert and festival bookers, tour promoters and venues (around 800 attended WOMEX13), offering musical acts a huge launching pad for the next – international – phase of their careers. 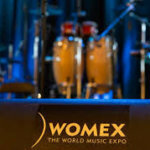 WOMEX received over 850 artist proposals for around 40 slots. lay the foundation for moving the industry forward. is looking forward to hearing from the luminaries of each field. delegates via the One-to-One or Roundtable Mentoring Sessions. 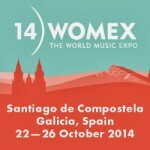 Conference programme is compiled in consultation with the WOMEX Jury. early to ensure timely arrival. brings 50 years of experience to the selection process. Last year, 17 films from 17 countries were screened at WOMEX 13.
project aimed at bringing musical diversity in film to a wider public. acts will then be offered a showcase spot at WOMEX 14.
at SXSW on Thursday 13 March at Flamingo Cantina, Austin, Texas, USA. big thank you to the team at SXSW for making this possible. 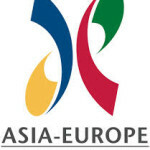 from 100 countries altogether to its 2013 host city, Cardiff. Copenhagen (2009-2011), Thessaloniki (2012) to Cardiff (2013). Porto Musical, Recife, Brazil, 10-13 December 2014.